Roald Amundsen was a Norwegian explorer who led the first expedition to reach the South Pole in 1911. Just two years previously Ernest Shackleton from Kilkea in Co Kildare Ireland, led an expedition which came within 180km of the Pole (88° 23′S). Though Shackleton was forced to turn back, his team succeeded in reaching the South Magnetic Pole on January 16th 1909. Roald Amundsen was born in Borge, Østfold near Oslo Norway in 1872. He studied medicine until he was 21 years old. He then left university for a life at sea. Amundsen made his first expedition to Antarctica as a member of the Belgian Antarctic Expedition in 1897. 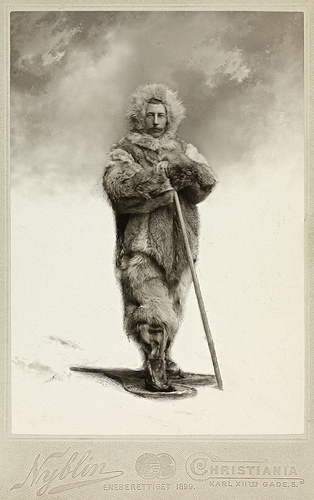 This became the first expedition to spend the winter in Antarctica and led Amundsen to the decision that he was ready to lead his own expedition. Amundsen set about being the first to reach the North Pole but everything changed when the American Robert Peary got there first on April 6th 1909. Amundsen then decided that he would try to be the first to reach the South Pole. 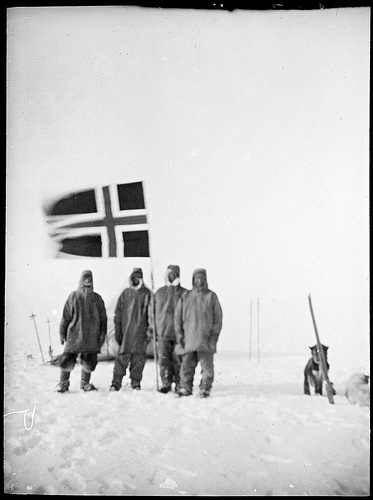 Amundsen headed for Antarctica and reached the South Pole on December 14th 1911, one month before British explorer Robert Scott’s second attempt. Roald Amundsen, Norwegian explorer who in 1911 led the first Antarctic expedition to reach the South Pole, was born in the year 1872 On This Day. Arthur Griffith was a politician and writer who played a leading role in the achievement of Irish independence. Through his writing he was influential in developing many of the ideas behind the movement which eventually led to the break with Britain. He was opposed to violence and was an advocate of peaceful means as the way to achieve Home Rule. 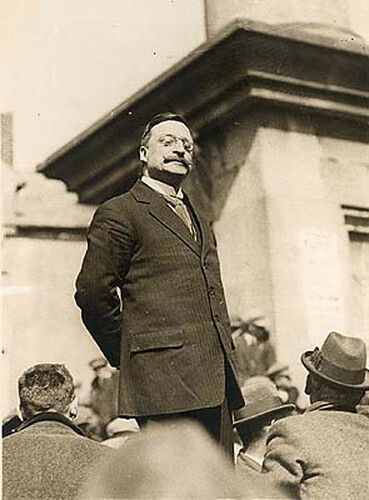 Arthur Griffith was born in Dublin in March 1872. He was educated by the Christian Brothers and followed his father into the printing trade. He was appointed editor of the United Irishman in 1898. His articles encouraged the idea of self-government for Ireland. One his ideas was for Irish independence under a dual monarchy. Griffith was not involved in the Easter Rising of 1916. Due to his writings however, he was one those imprisoned in the aftermath of the rising. 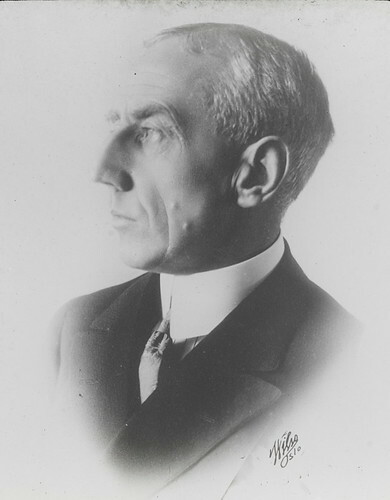 Following the War of Independence, Griffith was selected to lead the ‘envoys plenipotentiary from the elected government of the Republic of Ireland’ in negotiating the Anglo-Irish Treaty in 1921. The Treaty established Ireland as a self-governing Free State. It was ratified by 64 votes to 57 by Dáil Eireann on January 7th 1922. When those opposed to the Treaty lost the vote, they walked out of parliament led by Éamon de Valera. They began a campaign of violent opposition to the Treaty and Civil War ensued. Arthur Griffith died on August 12th 1922. The civil war ended in victory for the supporters of the Treaty on May 24th 1923. Arthur Griffith was born in the year 1872 On This Day. William Desmond Taylor was a famous Hollywood actor and director who was a native of Carlow town, Ireland. He acted in several films and directed over fifty films before his death in 1922. Taylor was popular and well-known figure in Hollywood during the early part of the 20th century. He was a founding member of the Motion Picture Director’s Association. 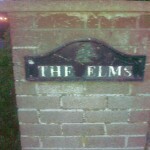 William Desmond Taylor was born at Evington House, The Elms, Carlow, Ireland in 1872. His real name was William Cunningham Deane-Tanner. His father Major Kearns Deane‐Tanner who was born in Cork, was an officer in the Carlow Rifles. He was stationed in the Military barracks in Carlow town. Major Tanner served as Captain of the Carlow Volunteer Fire Brigade when it was established in 1878. Taylor’s uncle, Dr Charles Kearns Deane Tanner was an MP for mid Cork who was actively involved in the Plan of Campaign and was a supporter of Irish Home Rule. When Taylor was young his family moved to Dublin. When he failed the army entrance test his father sent him to work on a ranch in America. Taylor later moved to New York City where in 1901 he married Ethel May Hamilton who was the daughter of a wealthy stockbroker. The couple had one daughter. He ran a highly successful antique shop in New York City until he mysteriously disappeared in 1908. Taylor turned up four years later in Hollywood having changed his name to William Desmond Taylor. He worked initially as an actor but later as a director of silent movies. He directed, with great success, several films including Tom Sawyer (1917). In 1918 he enlisted in the Canadian Army in order to serve in World War 1. He returned to Hollywood after the war and had success directing films such as Anne of Green Gables (1919) and Huckleberry Finn (1920). The last film which Taylor directed was The Green Temptation, just before he was murdered on February 1st 1922. His body was discovered in the living room of his home in Los Angeles. All investigators could say was that he had been shot once in the back. Several suspects were questioned but nobody was ever charged and Taylor’s murder is officially a cold case. When he was buried his daughter, Ethel Daisy, put his real name on his headstone. 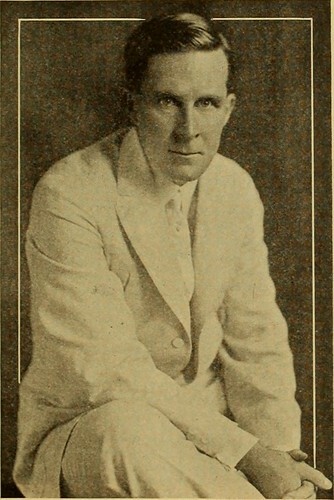 William Desmond Taylor, Hollywood actor and director was born in Carlow town, Ireland in the year 1872 On This Day.